Dinophone connects kids to their families by giving them the freedom of having their own device and the safety of adult controls. Smartphones and digital interfaces are a near constant presence in our lives these days. And, as engineers update these products, it is tempting for many of us to periodically upgrade your smartphone in order to keep up with the latest technology and the sleekest designs. Besides recycling our old devices, there is little we can do with them besides letting them gather dust, using them as a sort of giant USB drive, or giving them up to our children as toys. Inspiration for this product came from the friend of an engineer who wished he could communicate with his four-year-old child even when he was traveling overseas. Although there is already an array of phone/messenger applications for smartphones, this product is different in that it is intended for children; it appeals to a child's growing sense of independence and to the natural inclination of children to mimic the behaviors they see in the world around them. 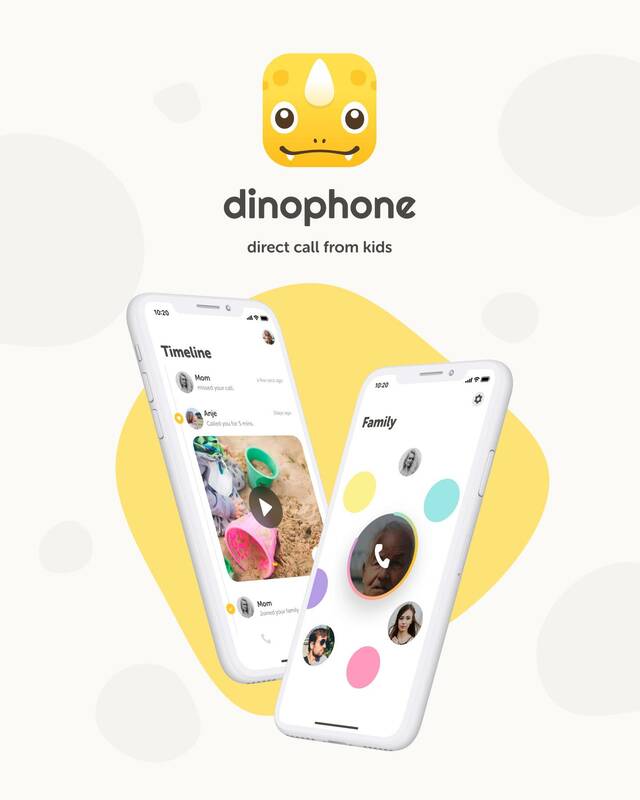 Dinophone is a video-calling application for kids. This product allows consumers to repurpose their old smartphones into a communication tool that is as fun, easy to use, and kid-friendly as the toys that come from toy stores. We want to create a product that is as intuitive and safe as it is fun and functional. Our team is trying to create a User Interface that is attractive to children and that will be easy for them to understand. Furthermore, the app is equipped with both a child mode and an adult mode so that it can best serve the needs of the individual user. When in adult mode, the user will be able to manage the device features that are available to kids and specify which applications are accessible or inaccessible when the device is in child mode. Adult mode also features access to a timeline function that allows parents to check their child's activities and call record on the device. Users can modify these settings at a later time if they need to. 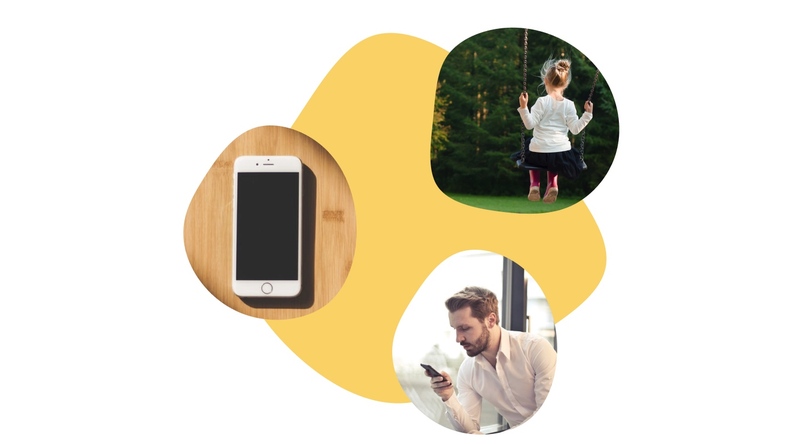 Current designs for the application are assuming a scenario in which parents initially set up Dinophone on an old device and then hand this device over to their child as a gift. 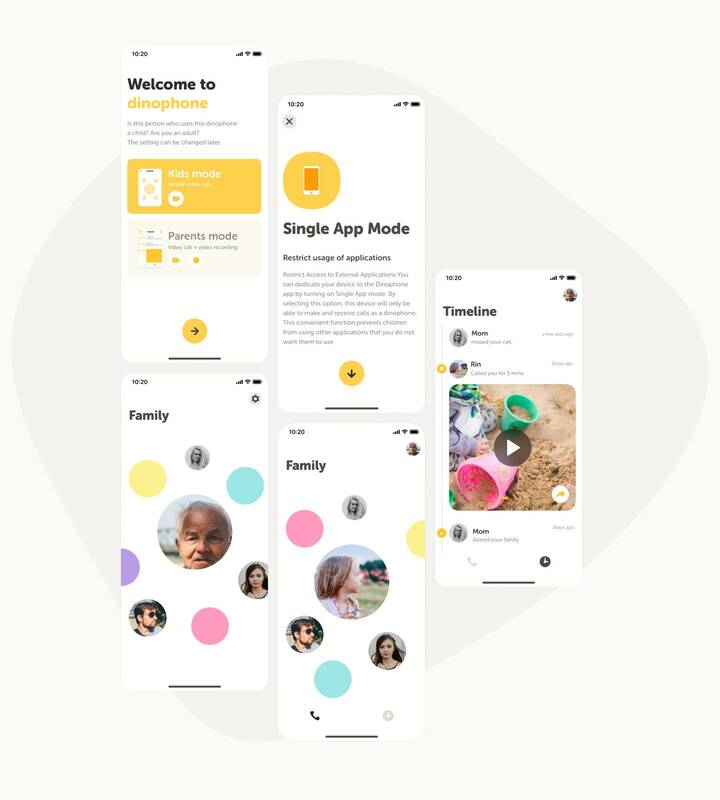 We designed the home screen to appeal to children and to be fun for them to maneuver; instead of an orderly list, all of the contact photos are randomly strewn across the screen. Operating Dinophone is as straightforward as swiping on the screen to navigate through the app and selecting the person to call. Parents can choose to connect or disconnect the telephone function. Even when the telephone is not connected, there is a messaging function that children can use to communicate with their contacts. This function allows children to use emoticons to express their feelings and to engage in virtual play with the Dinophone character. 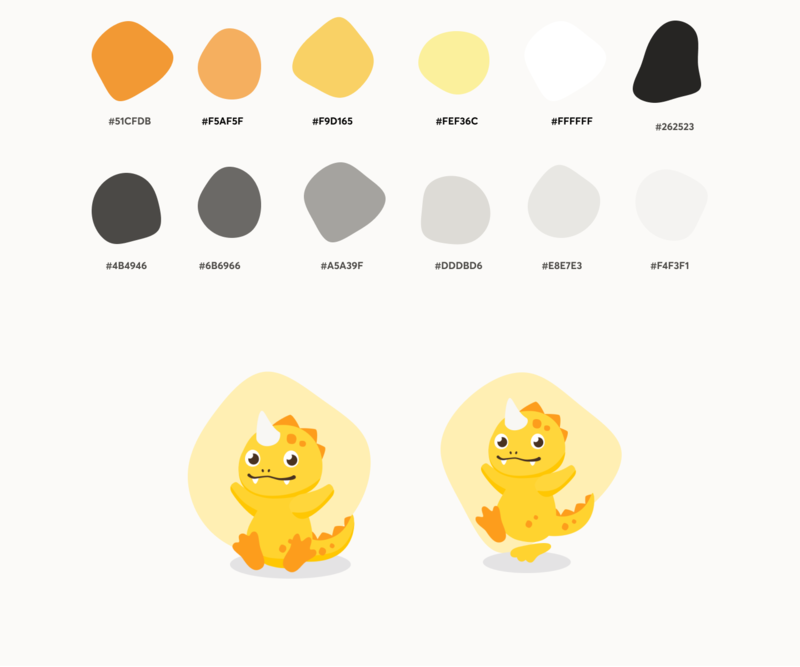 Development of Dinophone began with designing the mascot character. We knew from the beginning that this character would be a dinosaur because the child who inspired this product loves dinosaurs. Furthermore, "dinosaur" + "phone" = "dinophone" and blended word already exists as a slang term for out-of-date technology. As such, we felt that the name "dinophone" was appropriate for this application for a variety of reasons. 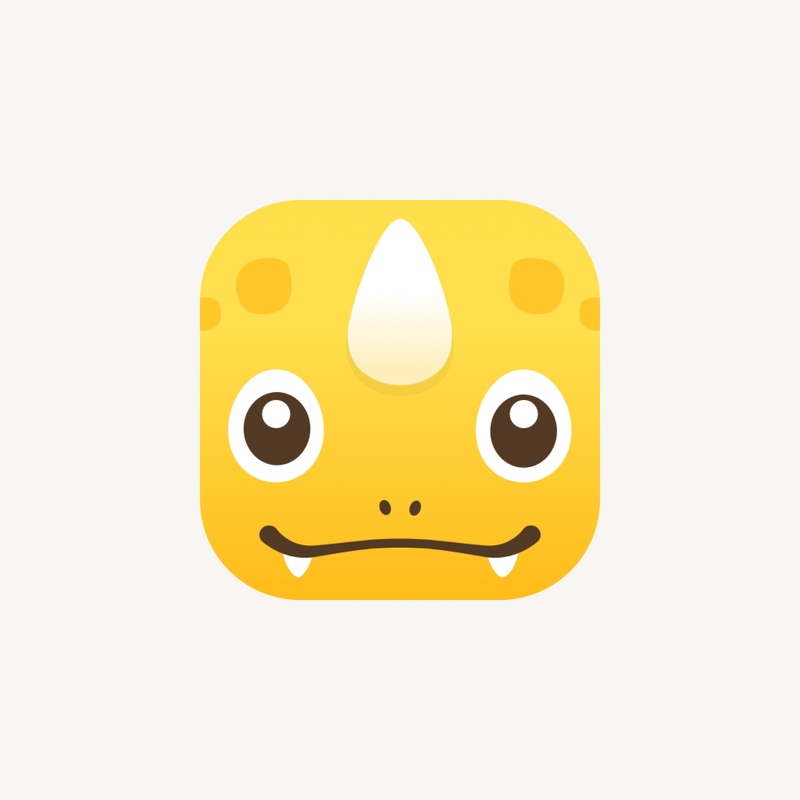 The cute dinophone mascot also led us to a logo that is more likely to stick in a child's mind and create a sense of attachment with the product. A silhouette of a horn defines both the mascot's face and the word mark in the icon. 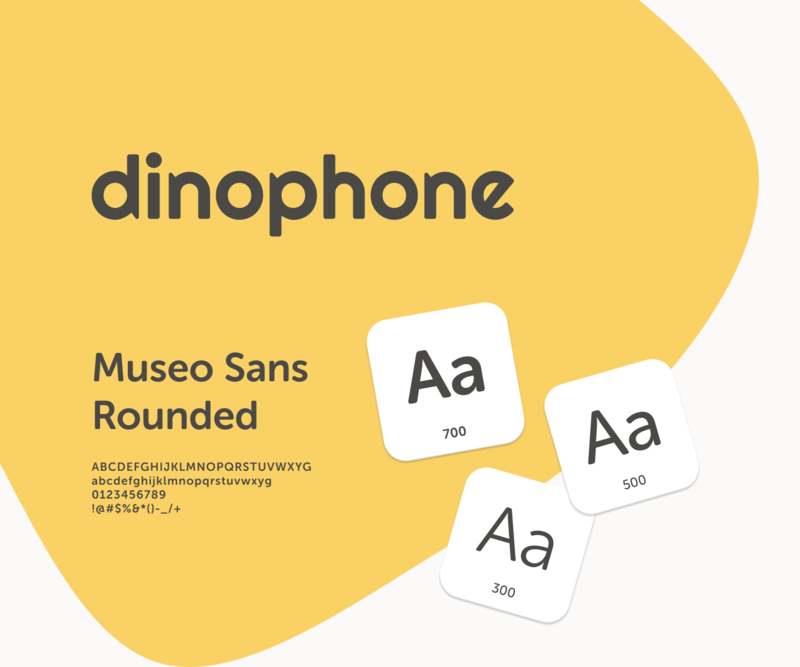 The Dinophone icon is not only cute and pleasing to see on your screen, but it is also a symbol of the hard-working individuals that want to stay in touch with the children that they love. 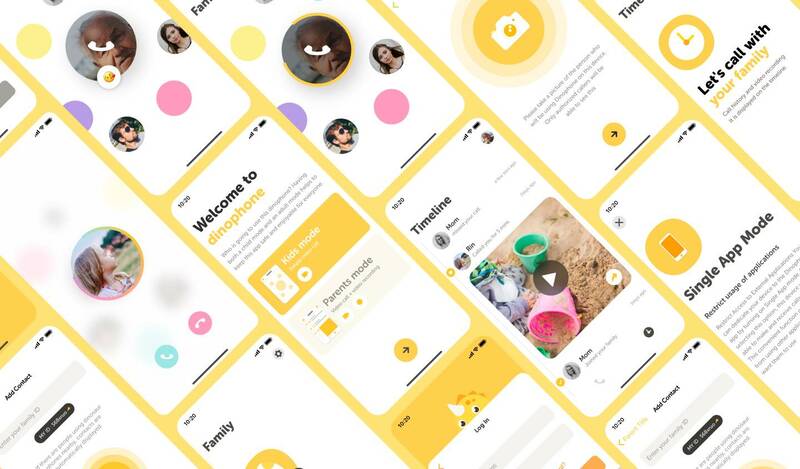 Dinophone is currently under development; this application gives new life to older smartphones by turning them into devices that children can treat as a toys, but that also offer a practical tool for communication.